In her sonnet “To Her Portrait”, 17th century Mexican poet Sor Juana Inés de la Cruz wrote: “This coloured counterfeit you see, flaunting with qualities of art, is, in fallacious syllogisms of colours, nothing but a cunning deception of senses”. The most outstanding writer in colonial Mexico was a woman. Her rebellious and self-reflective stance regarding female cultural and intellectual sovereignty paved the way for a later singular chapter in the history of modern art: the decisive incidence of female artists in Mexico during the first half of the 20th century. These female artists built an unprecedented imagery for gender self-awareness. The most universally recognized icon resulted from that chapter is Frida Kahlo. 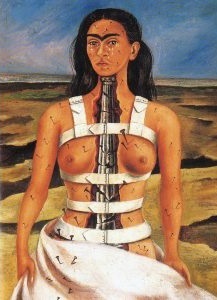 At the age of 18, the Mexican artist had a terrible bus accident that scarred her physically and psychologically forever, leaving her disabled. She was bed-bounded and immobilized for protracted periods of time. Self-portraiture became the primary focus of her art at this point and she began to paint using a mirror inset into the canopy of her four-poster bed. From then on, Kahlo became empowered through her art and her flamboyant Mexican dresses in a very unique way. This session will explore Kahlo’s art and clothing through Kahlo’s Mexico and her sense of cultural and gender pride following the Mexican Revolution (1910-20). An enthusiastic desire to embrace a national identity led to her interest in the art and traditions of indigenous people of her country. 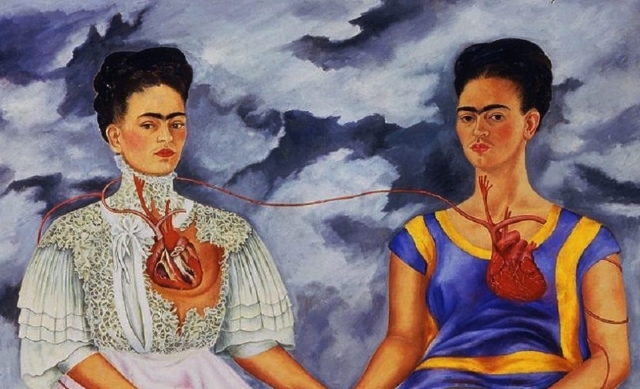 Kahlo used her striking appearance as a political statement, crafting her identity to reflect her own mestizo values, allegiance to Mexican traditions in response to her own disabilities. Special guest, Circe Henestrosa, co-curator of the exhibition Frida Kahlo: Making Herself Up, Victoria & Albert museum, London, 2018, will further explore Kahlo’s wardrobe and personal artefacts as a window onto her extraordinary life and art.